Connecting the cultural district with the business district, the Seventh Street Bridge offers passageway for both pedestrians and vehicles. 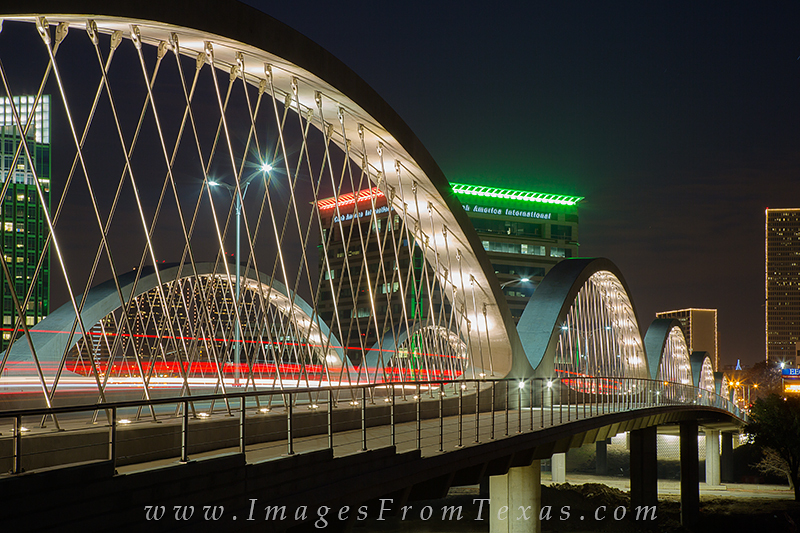 At night it is lit up and is quite a site near the downtown Fort Worth area. Photo © copyright by Rob Greebon.